The principal of Robert Moton Charter Elementary School employed and promoted two of her daughters-in-law, in violation of ethics laws, state officials contend. The Louisiana Board of Ethics filed charges against Moton principal Paulette Bruno on Nov. 19. The charges were posted Monday on the board’s website. The Division of Administrative Law’s Ethics Adjudicatory Board, a panel of three administrative law judges, will hear the case at a later date, the board’s communications director Alainna Giacone said. Cheron Brylski, a spokeswoman for Moton Charter, said Bruno couldn’t comment because the investigation was ongoing. “Be reassured, … Bruno is dealing with this directly and quickly,” Brylski added. State law forbids directors of public agencies from hiring members of their immediate families. The ethics code also outlaws financial transactions among a director’s family members. The state ethics board contends that Bruno hired her daughters-in-law—Suzanne Encalarde, who teaches at the school, and L’Tanya Randolph Bruno, the school’s data manager—and signed off on promotions and raises for them. Encalarde was hired by Bruno in 2008 and became Bruno’s daughter-in-law in 2010. On Bruno’s recommendation, Moton’s governing board promoted Encalarde to a senior teacher position in 2011 and gave her a $3,000 raise, according to documents. L’Tanya Bruno, who became Paulette Bruno’s daughter-in-law in 2005, took the data manager position in 2009. Paulette Bruno signed off on the hiring forms, the ethics board contends. Also in 2011, Paulette Bruno signed off on a $3000 salary increase for L’Tanya Bruno. The Ethics Adjudicatory Board could decide to censure Bruno or fine her up to $10,000, or both, Giacone said. The board could also remove, suspend, or demote Encalarde and L’Tanya Bruno, and fine each of them up to $10,000, as well. It’s the second time Moton has come under fire in the past few months. In August, an Orleans Parish School Board investigation found that Moton officials gave fourth-graders copies of state standardized test prompts in advance of the test. A separate investigation by the Adams & Reese law firm, which Moton hired, found no evidence of cheating. 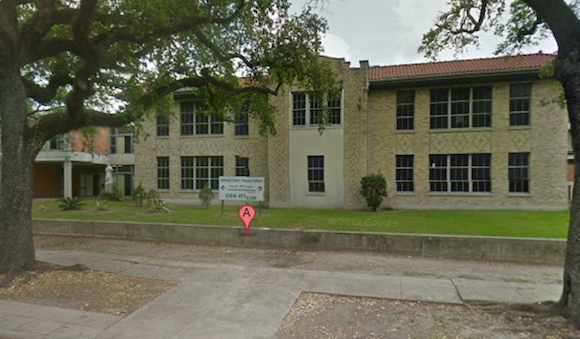 Orleans Parish School Board officials said that the employee believed responsible for the cheating had left the school. Another problem: OPSB computer program automatically adjusted staff seniority to reflect pay grades, regardless of actual years of service.